New York Times Conference Center, New York City. 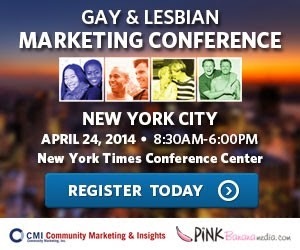 Community Marketing, Inc. and Pink Banana Media have announced a full-day educational and networking conference for business leaders interested in growing their LGBT market share. The 7th Annual LGBT Marketing Conference follows successful national and regional programs held by the organizers throughout the country over the past several years. Participants from the New York City region, as well as across North America are invited to attend the conference. On the heels of our most recent partnership announcement with EDGE Media, we are pleased to announce our 2nd major LGBT media partnership of 2014. Due to the success of our Interpersonal Marketing strategy, incorporating content marketing with social media outreach, banner ads, mobile marketing and e-mail, we are now broadening this success and this strategy with key LGBT media partners. We are pleased to announce our 2nd Interpersonal Marketing strategy partner, and our first LESBIAN media partner, Curve Magazine. The success of our Interpersonal Marketing strategy, incorporating content marketing with social media outreach, banner ads, mobile marketing and e-mail, has allowed us to expand this success and this strategy with key LGBT media partners in 2014. We are pleased to announce our first Interpersonal Marketing strategy partner, EDGE Media. 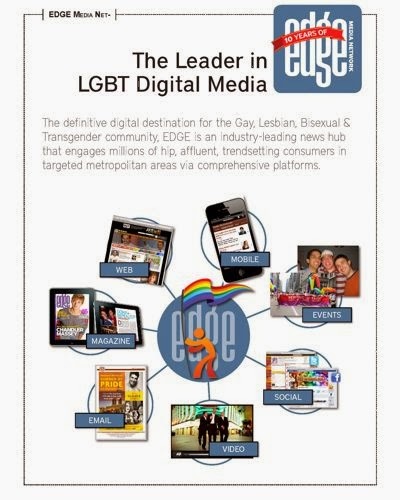 EDGE Media:The definitive digital destination for the Gay, Lesbian, Bisexual & Transgender community. EDGE is an industry-leading news hub that engages millions of hip, affluent, trendsetting consumers in targeted metropolitan areas via comprehensive platforms. As we enter the new year, we have time to reflect on what worked in 2013. We continue to analyze both our successes and challenges as we continue to develop cutting-edge strategies for companies seeking to reach the online LGBT market. What has emerged as the winner, hands down, is the concept of Interpersonal Marketing. We've had a chance to refine and improve the strategic direction during the past 12 months. Social media has had overwhelming success as one of the strongest ways to reach any niche audience online, and our approach starts with content first. We help develop a company's "story" and then we build a content marketing strategy from there. This has proven incredibly powerful in becoming the cornerstone of a successful overall marketing plan. 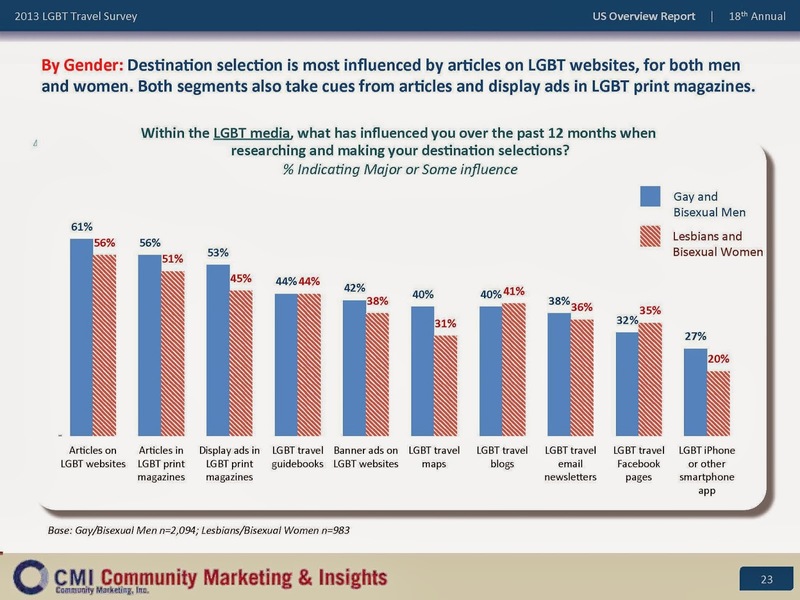 It incorporates social media outreach, mobile and e-mail marketing and website advertising to reach gays & lesbians wherever they spend their online time.